At times I have just stated some facts, or given some opinions or just wondered about things I see and take pictures of. This time, I’m asking for a little help. I have two photos of the same item here. I used to play with this as a child, when I visited my grandparents home. As a child you take a lot for granted and accept things for what they are. However, as we age, we see things in a new light and often what we saw and accepted as ‘the obvious,’ at the time, becomes a point of consternation when we suddenly realise the complexities of what we were looking at. 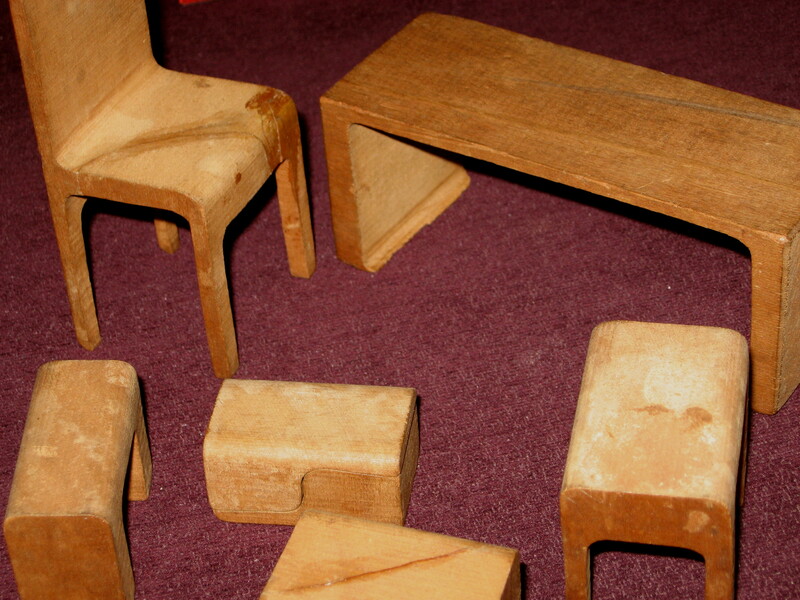 Back then, I was more interested in getting the unstacked tables and chairs back into the wooden block shape. 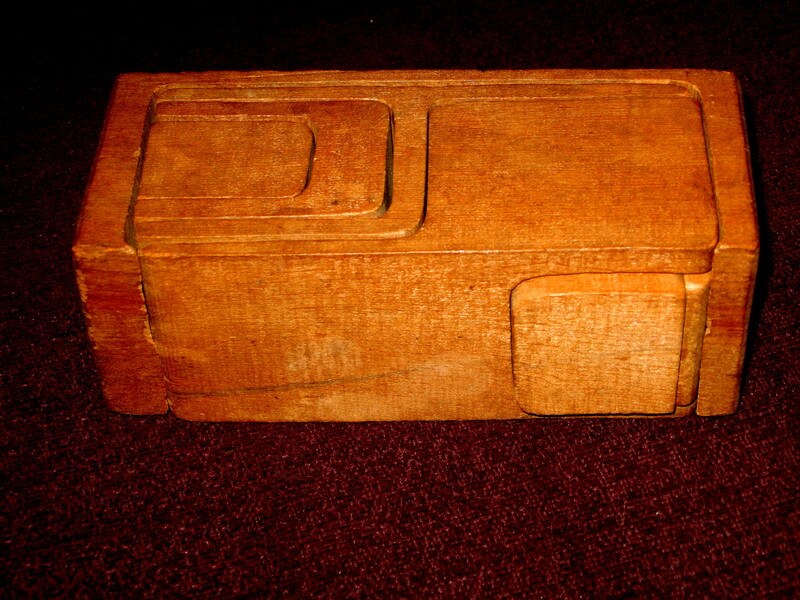 Now, I want to know how the wood was split and crafted into the various shapes of the tables and chairs and whether this was a particular child’s puzzle game (of the time), or is it, as some people suggest to me now, a basic wood-carving/turning exercise, given to young carpentry students (of the day)? Can anyone give me any ideas or solutions? Alternatively, if you are interested in woodwork, check out my Woodwork page.